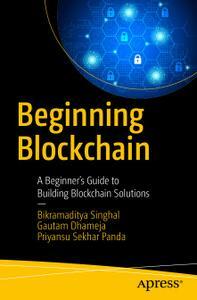 Beginning Blockchain: A Beginner's Guide to Building Blockchain Solutions | Free eBooks Download - EBOOKEE! Posted on 2018-08-05, by perica123. Beginning Blockchain is a beginner's guide to understanding the core concepts of Blockchain from a technical perspective. By learning the design constructs of different types of Blockchain, you will get a better understanding of building the best solution for specific use cases. The book covers the technical aspects of Blockchain technologies, cryptography, cryptocurrencies, and distributed consensus mechanisms. You will learn how these systems work and how to engineer them to design next-gen business solutions. 2019-01-31How to Build a Computer The Best Beginner's Guide to Building Your Own PC from Scratch! No comments for "Beginning Blockchain: A Beginner's Guide to Building Blockchain Solutions".